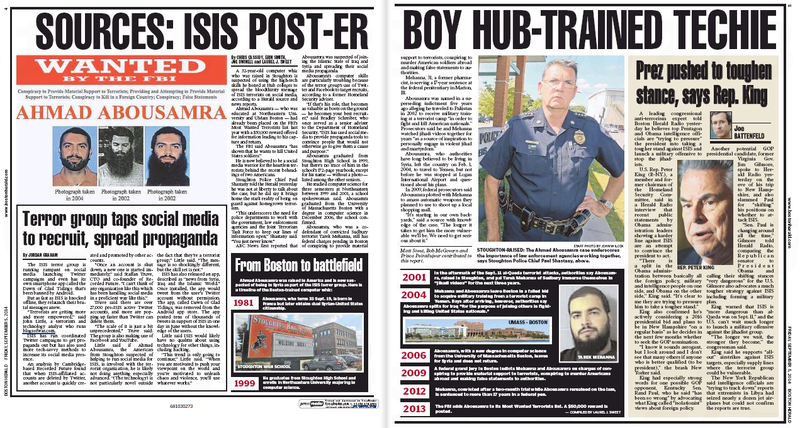 Today’s Boston Herald goes to town on local boy gone bad Ahmad Abousamra, the Stoughton man wanted for terrorism and suspected of being a social-media guru for ISIS/ISIL/Islamic State – whatever name they’re going by these days. Inside, the Terror Techie gets the Full Osama. Get it – Post-er? Yeah, us too. 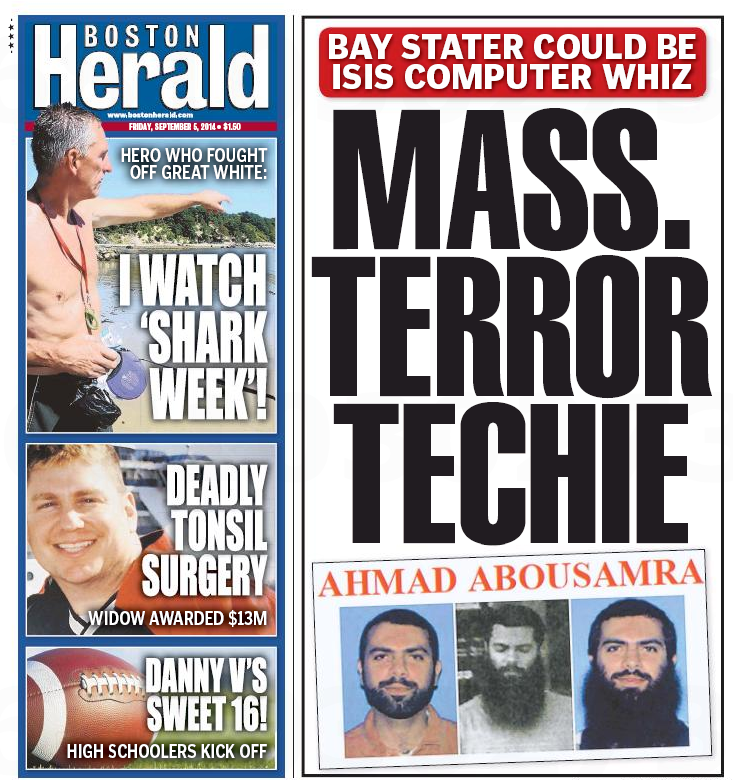 A 32-year-old computer whiz who was raised in Stoughton is suspected of using the high-tech skills he honed at Hub colleges to spread the bloodthirsty message of ISIS terrorists on social media, according to a Herald source and news reports. 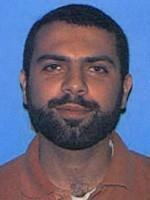 Ahmad Abousamra — who was educated at Northeastern University and UMass Boston — had already been placed on the FBI’s Most Wanted Terrorists list last year with a $50,000 reward offered for information leading to his capture and return. He is now believed to be a social media warrior for the heartless terrorists behind the recent beheadings of two Americans. The spotlight that has been cast on the Islamic State terror group in Syria has also put a new focus on a Massachusetts man wanted for terrorism, who is believed to be living in that country and possibly supporting ISIS. Ahmad Abousamra, who grew up in Stoughton and attended schools in the Boston area, faces terrorism charges in federal court in Boston, and the FBI in December put him on its Most Wanted Terrorists list. A $50,000 reward has been offered for information leading to his capture, and officials believe he has been living in Aleppo, Syria. Presumably not, however, as high-pitched as the freaky local tabloid’s. This entry was posted on Friday, September 5th, 2014 at 11:57 am and is filed under Uncategorized. You can follow any responses to this entry through the RSS 2.0 feed. You can leave a response, or trackback from your own site.